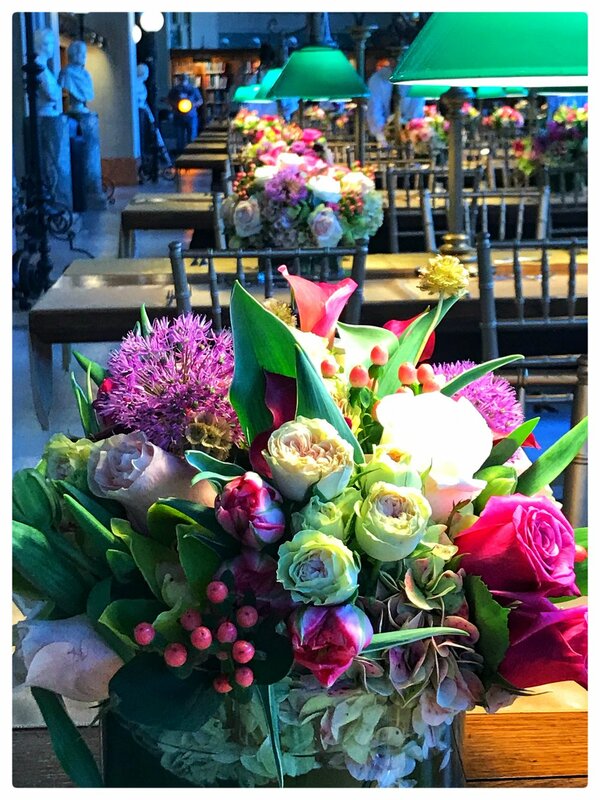 Flower arrangements made by Russo’s for a special event at the Boston Public Library. Premium quality red and green Bartlett pears $1.49 lb. Premium quality On The Vine tomatoes and Hot House tomatoes $1.98 lb. Extra fancy extra large fresh sweet red peppers $2.49 lb. Fresh dug Florida New, Red, Yukon and white potatoes $.98 lb. Extra fancy fresh tender spring asparagus $2.98 lb. “Rumi spice” saffron pasta $6.98 lb. Cake decorated with fresh flowers for a special event in Boston. Cantal cheese raw cow’s milk cheese: one of the oldest and most appreciated cheeses from France with world wide appreciation $11.98 lb. Grafton 2-year cheddar from Vermont, an award-winning local cheddar $9.98 lb. House baked Tuscan ham $8.98 lb. Ferrarini Mortadella with pistachios, imported from Italy $6.98 lb. Let us cook for you for Easter and Passover! What you would like to ask Tony Russo about our fruits, vegetables, plants, flowers, baked goods or prepared foods? Email us at krusso@russos.com and we will do a “Tony’s Tip” on Instagram for you! Thank you for signing up for our Russo's News + Specials newsletter! Show this special subscriber code of LATEMARCH1020 at the register for $5 off a purchase of $50 and $10 off a purchase of $100 thru April 1 (Monday-Friday only). You must present this email from Russo’s (not forwarded and not a screenshot of the specials webpage) on your phone or printed out to receive this special offer. Avocado Toast is arguably the greatest way to start your day and so easy to make. Enjoy!